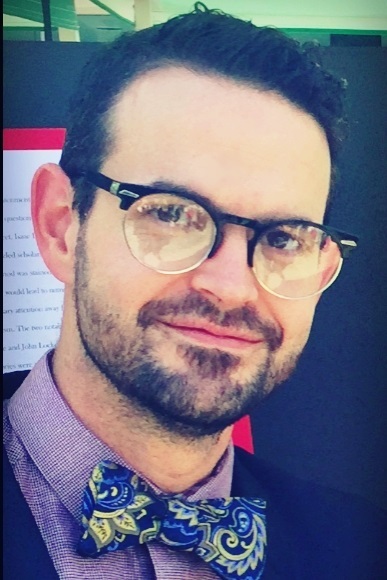 Daniel van Voorhis, PhD, is an Assistant Professor of History and Political Thought and Assistant Dean in the school of Arts and Sciences at Concordia University, Irvine. He has a BA in Theology and earned his PhD in Modern History from the University of St. Andrews (Scotland) in 2007. He and his wife, Beth Anne have been married for 14 years and have two sons, Walter Coert and Raymond (age 3 and 6). Dan enjoys sports, (Rams, Ducks, Clippers and Angels), music (Yo La Tengo, Pavement, Dvorak and Coltrane are in heavy rotation these days), running and yoga. Suggestion: Instead of writing some of the indigestible pablum and silly things you have been writing, like this recent existential piece, why not put your considerable educational talents to better use? For example, we have a cultural and spiritual dilemma, whose root causes need to be exposed and explained. Do something worthwhile. You are wasting your time at present. Yes…I am a cantankerous old Christian senior…and this is constructive criticism. Thanks! So you are responding to my “consider that it might be the case” article. An interesting response to my plea for understanding. So, Mr. Flanagan, I’ll consider the case that you might just be as cantankerous as you claim. I will invite you to keep reading as I do attempt to look at cultural dilemmas. But, you are always free to avoid the Monday afternoon column. Whatever you do, remember, everything is going to be ok.
Dan, now I know why you can be so…irenic, as you say, on the podcast. I’ve been listening to your lectures on Christianity in America with my wife and it seems as if your lectures are where you feel free to take off the gloves and let your fists fly. The lectures are a great outline for how we’ve gotten where we are today. Mr. Van Voorhis, are you the same Dan Van Voorhis that once lived in Big Bear or Arrowhead, Ca. as a child with a Sister and your parents? My name is Aaron, although you would have known me as AJ at the time. Although we are of a similar age, I believe you are a generation above me. My Grandpa Bob is your uncle Bob. I only recently found out some things. I won’t mention them here. My Mom (Chris) and I asked why you weren’t at a recent family gathering, but were told very little. It’s been a long while, but I’d like to chat sometime. If your not up to it, however, I understand. Looking online, I noticed that you have a Son with a middle-name “Coert”, and that you studied history. Does that include Family history? My Mom named my brother “Daniel Coert” after a distant relative. We have been avid Family Historians for many years.